What can preggy mommas do to sleep better? But the best sleep aid is a good pregnancy pillow! But now I know that sleep problems start during pregnancy. Oh well. Okay, all the more that I’ll need the most comfortable pillow that’s available, and so I’m really glad to be doing this research sooner rather than later. Are preggy ladies always sleepy? I was really curious as to why sleep is so challenging during pregnancy. I actually thought that expectant women were sleepy all the time since I saw this a lot when I was growing up. Well, it turns out that it’s true. Yes, apparently one of the earliest signs that a woman is pregnant is that she feels tired and sleepy a lot during her first trimester, because of changes in hormone levels. Good to know this. Apparently, a would-be momma’s energy levels pick up during the second trimester, which is a relief. But they crash again, and even harder during the last months of pregnancy. All I can say is – thank God for maternity leave! So doctors (and again, mothers!) are saying that the last three months of pregnancy are the most challenging. I can certainly understand that since they’re carrying something the size of a watermelon 24-7! But my question is, why? What are the reasons that late stage pregnancy makes sleep difficult? At this point, mommas need to go to the bathroom all the time. Apparently, the little “bump” puts constant pressure on the momma’s bladder, and so she has to get up and pee—a lot. No fun, right? Also, at this point in the pregnancy, mommas feel different aches and pains, such as in the back or the legs. Sometimes this pain or even just discomfort makes it tough to sleep. Another reason some mommas have a hard time sleeping at night is that they nap too much during the day. It’s a funny cycle -momma has poor sleep at night, makes up for it with a good nap, and then is not sleepy at night… and so on. Expectant mothers need to do what works for them, though. And if it means they have two sleep cycles, one in the afternoon, and one at night. Sometimes mommas-to-be gets heartburn or indigestion that prevents good sleep at night. Again, this is the fault of pregnancy hormones. Some obstetricians will prescribe over-the-counter antacids, which are quite safe, but momma should never take any medication that her doctor hasn’t okayed first. We all know that, right? There are babies who are night owls, and they keep their mommas awake by kicking up a storm. Watch out momma, you may just be growing the next Kylian Mbappe, Luka Modric, Sun Wen or Mia Hamm in your tummy. Relax, Mom. Doctors say this is perfectly normal, and you can always try talking to your little one soothingly and ask him or her to give momma a rest. Hooray for the internet! Because of this beautiful thing called Google, there are all sorts of collective conventional wisdom to help you when you’re having difficulty, and this is no exception. If you suffer from heartburn, one trick to try is to elevate your head by even just a few inches. And I’ll bet you didn’t know that if you sleep on your left side you actually keep your stomach acid where it belongs, so the left side is key when you’re expecting. There’s an even better reason for this, which I will tell you about in a short while. Don’t forget to keep your room cool. The best temperature for sleeping is between 20 to 22 degrees Celsius. We’ve all experienced this, right? It’s hard to sleep when it’s hot. And preggy moms are growing another human being under their hearts, so they feel warm very easily. Pro-tip: if you don’t have one already, why not get an indoor temperature for your bedroom just to make sure the temperature is in the ideal range. Make your bedroom as comfortable as possible. If this means installing blackout curtains to make the bedroom very dark, do it. There are such contraptions as white noise machines as well, that will block out sounds from outside. But you can just download an app for this, instead of having to buy yet another gadget. My recommendation would be White Noise Sleep Pillow Sound which has nature sounds such as rain, comes in a variety of languages, and got a stellar 4.8-star average review on the Apple Store. It’s free, but there are add-ons that you can purchase. There, I’ve said it! You knew that’s where I was leading up to anyway, didn’t you? 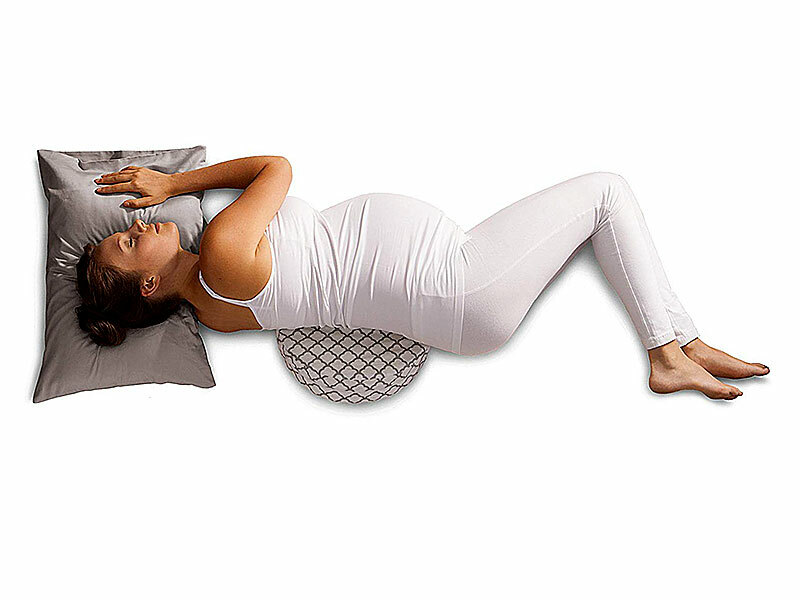 There are so many different types of pregnancy pillows, many of which sound pretty fantastic. There are pillows for every type of sleeper around, since, if there’s anything we’ve learned by now, it’s that we all don’t sleep in the same way. 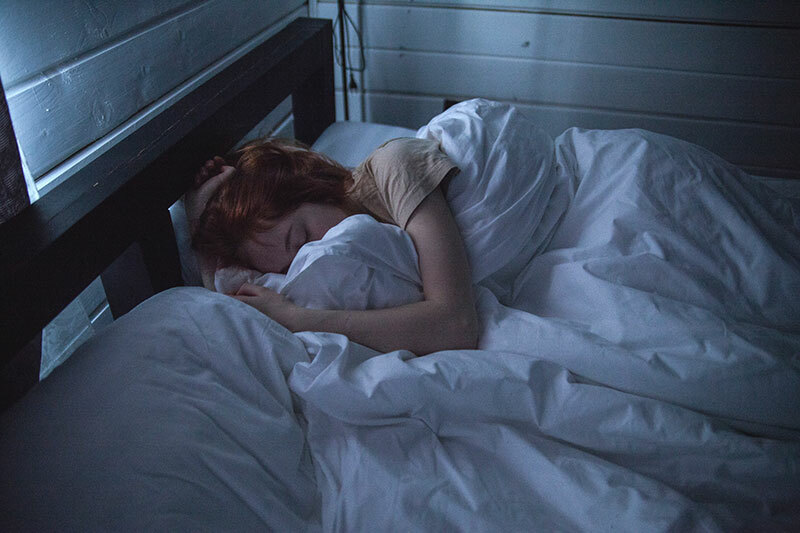 There are pillows for back sleepers and tummy sleepers, although most experts say that most pregnant women end up sleeping on their sides since this is the most comfortable, safest and best position for sleeping. Just make sure momma is sleeping on her left side since this guarantees good blood flow. Apparently, sleeping on the left side also minimizes the chance of stillbirth delivery, according to one UK study. Before 12 weeks, you can sleep any way you want. A lot of women have breast tenderness or sensitivity, so many aren’t comfortable sleeping on their stomachs early on. But it’s just discomfort – it won’t cause any harm. Doctors’ biggest health concern for pregnant moms is the inferior vena cava (IVC), a big vein on the right side of the vertebra which carries deoxygenated blood from the lower and middle body to the heart. Sleeping on your back and tummy late in the pregnancy can block off blood to the rest of the body. What Dr. Twogood recommends is to get a pregnancy pillow at the beginning and then give yourself time to get used to it. A pregnancy pillow can support a momma’s back, legs, hips, spine and neck, and getting it early gives momma time to get used to it. One way to do this is to put one pillow under your right side if you’re a back sleeper so that it forces you to lie on your left side more and more. Later on in the pregnancy, many moms make the switch almost naturally because sleeping on your back or tummy just gets more and more uncomfortable. And, in a pinch, if you are concerned because you’ve been waking up on your back or belly, ask your spouse for help. If they notice you sleeping in a position other than your left side, they can make you up and help you move to the right position. Speaking of traveling, if you are going anywhere soon, especially for the holidays, make sure you check out my article on the best travel pillows available on the market first. Okay, having discussed all that, without further ado, here are my top three pregnancy pillows. – Might as well tell you all about this award-winning tummy sleeper out of the way. Again, I will say that it’s the best pregnancy pillow for those who are in their first 14 weeks only, after that, it’s no longer advisable to sleep on your front. Tummy sleepers love this pillow! It constantly gets high marks not just for the product itself, but also for stellar customer service, apparently. What it looks like is a pool lounger with a hole in the middle for a mom’s protruding tummy. It does not come with an air pump, so you will need your own. It does come with a convenient carrying bag for portability and storage. It can be used on the floor or on the bed. The biggest value it gives is that it relieves lower back pain, which pregnancy can make worse. The design of the pillow features an incline in the leg area, which is supposed to ease the spine. It also comes with a swaddle, which you can use for the baby, or for laying on top of the Cozy Bump to give extra support to your belly. Did I mention award-winning? The pillow has been reviewed by both obstetrician-gynecologists as well as chiropractors. Baby Maternity Magazine, Mom’s Choice and the New York Baby Show have all given Cozy Bump awards. The hole in the middle is fully adjustable, to give mommas the maximum comfort they deserve. It has a wide headrest so you can use it with or without your favorite pillow, and has two separate air chambers so that you can adjust the amount of air where it’s needed. Even very tall and heavyset women can use this pillow, as it can accommodate up to 136 kilos. It works well for tummy sleepers, and helps relieve leg and back pain, which makes it a winner for a lot of would-be mommas. It’s not for everyone, obviously – since we all come in different shapes, sizes and sleep styles. If your bed is on the small side, say a double or full instead of a king or queen-sized bed, you may find it a little too big. 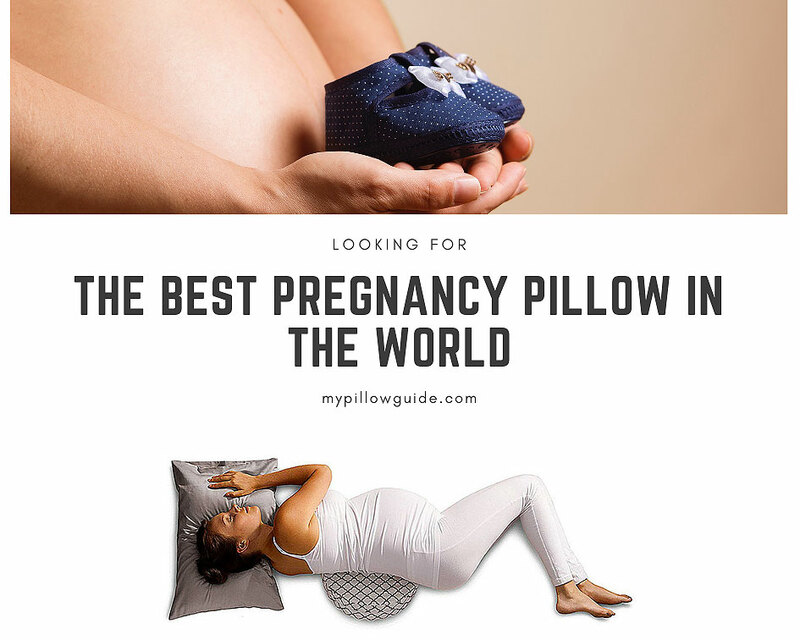 – this is the best pregnancy wedge pillow available. A wedge pillow is called such because of you… well… wedge it anywhere you need it. Most moms put it behind their backs, some under their growing bellies, some between their knees, and others just simply lie on it under their heads. As you can see, it’s an extremely versatile pregnancy pillow. The price of the Boppy pregnancy wedge is not bad, either. So if you need more than one of these wedges, since many ladies sleep with one under the bump and one behind their backs, it won’t break the bank, so to speak. This pillow has a very soft slipcover made of jersey and is machine washable for convenience. Doctors love it because it promotes side sleeping when you put it behind your back. It’s portable and good for traveling and is very lightweight as well. The pillow is so good that it’s a Mommy MD Recommended product. Can be used for any part of the body, good price point, versatile, small and not bulky. Some women found it to be too stiff-firm to the point of uncomfortableness. Others found it to be too small to give adequate support, and a few were unhappy with the chemical smell and the quality of the pillow filling. This pillow is a dream come true. I am definitely telling my partner that if and when we get pregnant, this is the one I want! Though he may not be too happy about it because this big boy is huge. 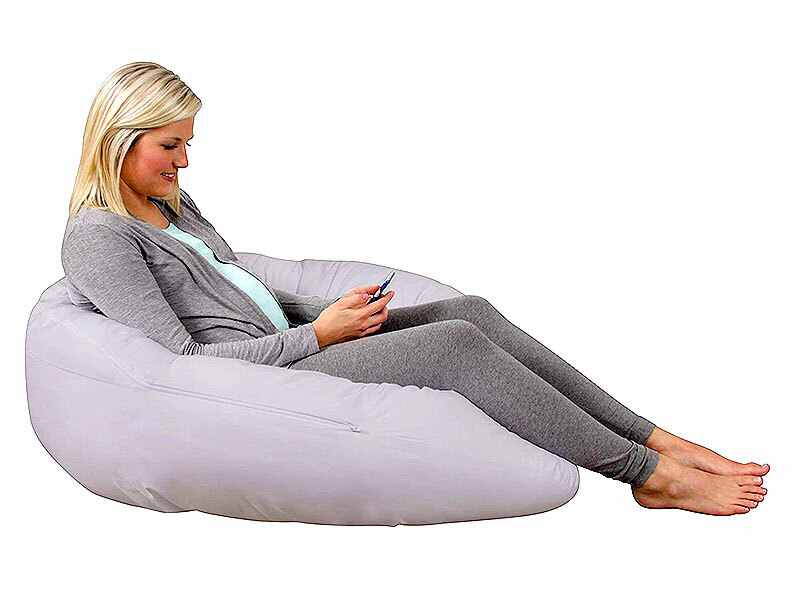 Okay, the Leachco Back ‘N Belly Bliss Pregnancy/Maternity Body Pillow is pricier than the other two pillows on this list, but it is also quite a bit bigger and does not need to be inflated. It has an hourglass design on the inside curve of the pillow that is supposed to support both mom’s back and her belly at the same time. It hugs the pregnant mom nicely while she sleeps, and yet has a flexible enough design that anyone can bend or move its parts around for customized comfort. You can use it not just in bed, but also in a sitting or reclining position, which is why it doubles as a maternity pillow. I love products that multitask, don’t you? It’s also got a machine-washable 100% sateen cotton, 300 thread count zippered cover, and replacement covers are also available if necessary. It also encourages side sleeping, since users are cradled by either side of the pillow. It’s so big and fluffy! It hugs you completely and provides support to every part of your body: back, belly, neck, legs, knees, and so on. It’s like being hugged and cuddled all night long. Some women find it too big and fluffy, taking up all the space on the bed, which doesn’t make husbands and boyfriends too happy, as it can actually make a “wall” between a couple, and it discourages intimacy. One more thing here, smaller women report that the filling may be too thick to be comfortable for their necks. 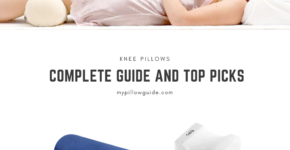 If you’re someone who has had to deal with neck pain, it may be time to check out my article on the best pillows for neck pain. You’d be surprised how the right pillow can bring about such relief. But going back to the Leachco Back ‘N Belly Bliss, its price point may just be a little too much for some. It doesn’t come with a money back guarantee in case you’re not happy with it, and so it’s a considerable risk. All these pregnancy pillows and so many more are so tempting. The truth is that I want to try them all out, but that would be a little too much, even for this pillow fanatic. I honestly don’t know if I’ll get pregnant anytime soon, or if I’ll want a little boy or a girl, but one thing is for sure. If the little one is anything like me, he or she will absolutely love pillows! A shoutout to all the mommas who read my site – did you use a pregnancy pillow when you were expecting your little one? If so, which one? What would you recommend? Drop me a comment and let me know, please! Help a girl who’s making big plans for next year. I’m in the process of doing a little ‘research’ for my partner who is now in her ‘final stretch’ of pregnancy. She was advised about pregnancy pillows after she started feeling sciatica pains in her lower backside. 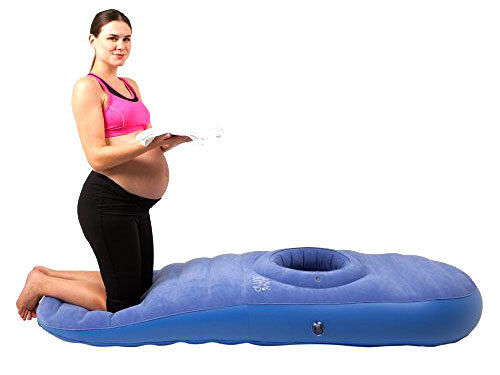 I’m leaning towards the Leachco Back ‘N Belly Bliss Pregnancy/Maternity Body Pillow you’ve covered here, but I’m wondering if it has any specifications or warnings about pregnant women who are suffering with sciatica – could it possibly make the condition worse? That’s a lucky choice I read this post. I usually don’t read about pillows nor pregnant women because me and my wife are out of that. But my wife’s best friend isn’t and for her I will get a pillow very soon. I didn’t know about these problems pregnant women have, my wife either didn’t tell me or she was lucky to not have these pains. Her friend though likes really comfortable and is already a little stressed of the thought having a full tummy. I think she’ll love us when we meet her with one of those pillows. Oh yes, I remember those pregnancy days well and not sleeping toward the very end. I think it’s Mother Nature’s way of getting you used to what’s about to happen! I’m done with my pregnancy days, but is it wrong that I still want the Leachco Back ‘N Belly Bliss Maternity Pillow? That looks really nice for just lounging around and reading! I think you’re smart to make that your best pick. It’s nice that it’s versatile and you can use it as a pillow or a chair. While I’m out of my pregnancy phase, I have a sister still in the thick of it! lol I’ll have to send her these so she can get better sleep! Hello there. Season’s greetings to you. Thank you for sharing this awesome information which reveals the best pregnancy pillow in the world. Heyy. I thought sleep is easy during pregnancy!! Well I’m cleared on that. This article is so educative too. Sincerely speaking, all these pillows are lovely especially the Cozy Bump Blue Pregnancy Pillow. Great! Great to know that you can get a pillow to make you comfortable during pregnancy, I need had any problems during my pregnancy God has blessed me with sleep of which I am grateful but I love the different kinds of pillows you have given and I love the number 3 in particular. My cousin has just gotten married and I will definitely look that up, it would be a great gift to send to the wife. Thank you very much great article.